1. In a bowl, put white miso, sake, soy sauce and mirin and mix well. 2. Wipe the fish with a paper towel to absorb the water. 3. Place the miso marinade into the container. 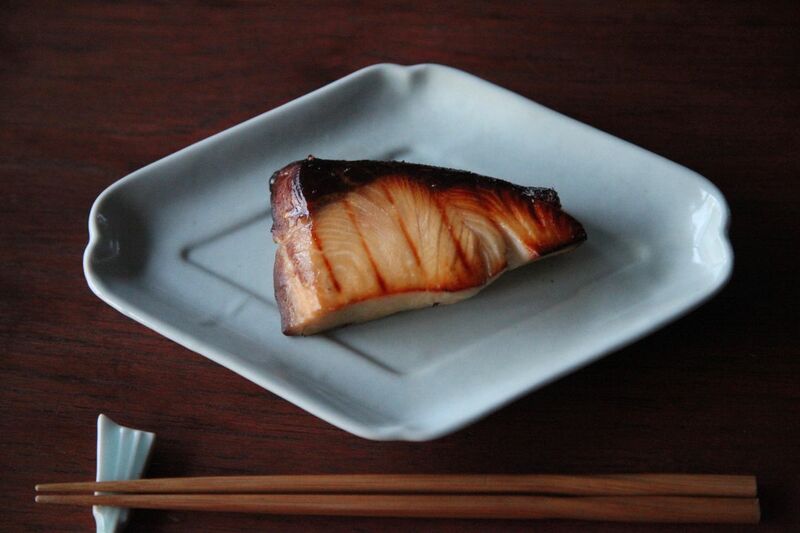 Dip the fish pieces and yuzu into miso marinade. Leave in refrigerator for one day. 5. Pick up fish pieces and wipe excess miso off. 7. Put cooking sheet on the pan and place the grill rack on top. Place fish pieces on the rack and grill for about 4-5 min. Flip the fish and grill for 3 min.